Writer Wednesday: Ahoy to Katherine Bone! 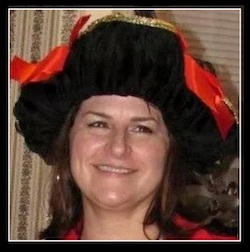 Ahoy, Lady Margaret! Thank you so much for inviting me back to parlay on Writer Wednesday!!! Jack and I are eager to share our next adventure with you and your readers. Huzzah! How did this anthology come to be? Who decided who’s in it, and the theme? Being invited to join this set was a major honor! Color me über surprised when Author Collette Cameron approached me about joining her in this adventure. (You know pirates. They’re up for almost anything!) Between the two of us, we came up with suggestions for other Regency authors to join the box set. 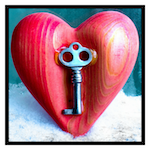 Keeping our eyes on the prize—historical romance—we collectively decided to play off of the tried and true theme of “Once Upon a Time” and a bit of brainstorming later, we all decided on the most romantic thing a woman can ever experience…True Love’s Kiss! How long does it take to pull an anthology like this together? We started gathering authors this past April/May, scheduled due dates for our books (my first time hiring an editor for a self-published book), then assigned duties to each author to help utilize individual skills each author possessed. It’s a collaborative effort, teamwork that almost never seems to end, but so worthwhile. More importantly, I know I’ve made ARRwesome friendships in the process and that’s what I treasure most! Do you like writing shorter or longer stories? Give us the scoop on one or two (or more!) other authors from this great group – which of their other stories should we snap up next? That’s a FANtastic and fun question to answer, Lady Margaret. Several authors have included stories in Once Upon a True Love’s Kiss based on a series they’ve already written. FANs following those series will be excited to find more of their FAVorite characters in the set. Several books are introductions to new series launching in 2016, including my contribution, The Pirate’s Duchess. In my humble opinion, you can’t lose with this set. There’s absolutely something for everyone. Woot!!! What’s next for Katherine Bone in 2016? I’m so glad you asked, Lady Margaret! Several things have kept me from finishing the third pirate book in my Nelson’s Tea Series but I’m happy to say I’ll be turning the finished book in to my editor soon. Look for The Rogue’s Surrender, Nelson’s Tea Book #3, to appear sometime in early spring (fingers crossed!). The Pirate’s Debt, Book #2, in my new Regent’s Revenge Series will hopefully be ready for readers in September with The Pirate’s Duty to follow in early 2017. Yes, I’m scheduling myself that far ahead. LOL!!! The Regent’s Revenge Series will be my first self-publishing venture. Huzzah and Hoorah!!! Today’s featured kissing meme comes from Jillian Chantal’s book, Milady and Her Spy! 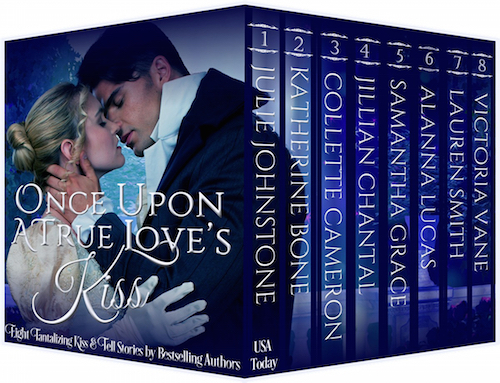 Once Upon a True Love’s Kiss features USA Today Bestselling author, Julie Johnstone, joined by bestselling, award-winning authors Katherine Bone, Collette Cameron, Jillian Chantal, Samantha Grace, Alanna Lucas, Lauren Smith, and Victoria Vane in this delightful limited edition, containing eight tantalizing kiss-and-tell stories. Meet dashing, wildly charming rogues, spies, pirates, rakes and their extraordinary, intrepid heroines as they whisk you along on sweet to sizzling romantic romps in these wickedly entertaining historical romances. Here’s a peek at eight tantalizing kiss-and-tell stories, boxed together for a limited time! AFTER FOREVER by JULIE JOHNSTONE, USA Today bestselling author. Lady Julia is hired to turn a rogue into a gentleman and receives lessons in love and desire. 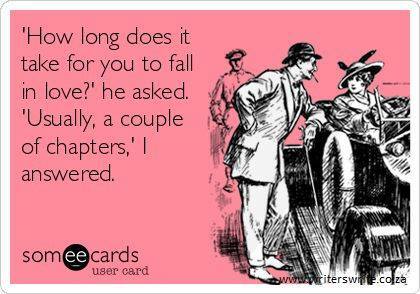 After Forever is the fourth book in Julie Johnstone’s Whisper of Scandal Series. Love truly does have the power to mend a shattered heart. 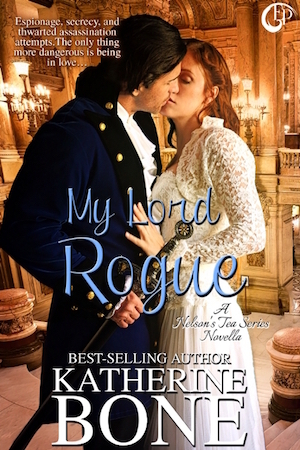 THE PIRATE’S DUCHESS by KATHERINE BONE, National bestselling author. A duke masquerading as a pirate to “rob from the rich and give to the poor” sheds his darkest-kept secrets to keep from losing the duchess his wife has become. HER SCANDALOUS WISH by COLLETTE CAMERON, National bestselling and Award-winning author. A marriage offer obligated by duty . . . an acceptance compelled by desperation. Her Scandalous Wish is the third novella in Collette Cameron’s A Waltz with a Rogue Novella series. Love always deserves a second chance! MILADY AND HER SPY by JILLIAN CHANTAL, 2015 RONE Finalist. A lady, a spy, a traitor… a battle of wills. Milady and Her Spy is Jillian Chantal’s first novella in the Milady Series. Set off on adventure with Lady Augusta Covington. KISSED BY A SCOTTISH ROGUE by SAMANTHA GRACE, Acclaimed, RITA-nominated author. Scottish land steward Fergus McTaggert calls a temporary truce with his employer’s companion only to discover their passionate battles have been masking their hidden desires. Kissed by a Scottish Rogue is the fourth story in Samantha Grace’s Rival Rogues series. An enemies-to-lovers tale with heart and humor. STOLEN KISSES FROM THE VISCOUNT by ALANNA LUCAS, National bestselling author. A rake, an heiress, and stolen kisses…this seduction could be his last. Stolen Kisses from the Viscount is the first novella in Alanna Lucas’s Stolen Kisses series. Let the seduction begin. TEMPTED BY A ROGUE by LAUREN SMITH, National bestselling, Award-winning author. Gemma never planned on falling in love with her childhood sweetheart’s best friend, Jasper, when he returns home, but she can’t resist the naval officer’s brooding charm. Tempted By A Rogue is a standalone novella by Lauren Smith. A sensual regency tale of first loves, mistaken identities and the temptation of two hearts meant to be together. THE REDEMPTION OF JULIAN PRICE by VICTORIA VANE, National bestselling and award-winning author. She gave him a chance to bury his past…but the price would be his heart. In The Redemption Of Julian Price, a spinster proposes a marriage of convenience to her secret love in this funny, flirty, poignant, and passionate Regency set romance. Thanks again for featuring me on another Writer Wednesday, Lady Margaret! It’s been a great pleasure sailin’ the literary seas with you and your readers. Wishing everyone at Writer Wednesday a very Happy New Year! Stay safe, me hearties!!! 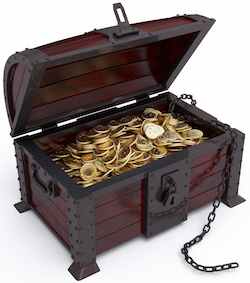 *Treasure Alert* What kind of characters would you like to see in a Regency box set? Comment below – One lucky winner will receive a FREE ecopy of Once Upon a True Love’s Kiss! Wait, you mean I have to stop drooling over Jack now? Doggone it. Pass me that rum. But thanks, Ms. Bone, for joining me oh-so-briefly for adventures upon the romantic seas!